Talent alone is not what makes great minds, first class athletes or top performers in any discipline. Highly successful people have the ability to take the potential of their basic qualities and apply effort, persistence and self-discipline. In this way they stretch and improve both their strengths and weaknesses, even at the risk of failure. Says Malcolm Gladwell in his well-known book, Outliers: the story of success (Little, Brown & Company, 2008), “…..the closer psychologists look at the careers of the gifted, the smaller the role innate talent seems to play and the bigger the role preparation seems to play,” He believes that practice isn’t the thing you do once you’re good, it’s the thing that makes you good, whether you are Mozart, The Beatles, Bill Gates, grand chessmaster Bobby Fischer or a top Canadian ice hockey player. The common denominator he uncovers is that before these people “made it” or became world class experts, they all had 10 000 hours of practice over many years. Now that’s a lot of repetition! This is not necessarily brand new thinking. Good educators, therapists, parents and employers have actually known this for years and neuroscience is increasingly proving it. We know that the brain is plastic and elastic, and can continue learning well into old age. As long as you practise something often enough – a minimum of 200 – 300 times, you can create a new memory cell (an engram). But, practise is not the only important thing. One’s attitude and habits of mind are also essential to success as described in the concept of a fixed vs growth mindset, popularised by Carol S. Dweck in her best-selling book, Mindset: the new psychology of success (Penguin Random House, 2007) in which she deals with how to nurture a winning mindset. Dweck is clear that parents, teachers and coaches pass on either a fixed or a growth mindset to children in the way that they frame success and setbacks. She says that to nurture a growth mindset we need to tie success to effort – to doing good. We spend so much telling our kids to be good or doing things for them that they could do for themselves, that we often don’t focus enough on their journey, on the doing – specifically doing for themselves. Very importantly, we also need to reframe failure at a learning opportunity. Successful people habitually and instinctively reflect on their experiences, learning and growing as they go. In my own words, they speak more than they act. They are highly likely to place blame on others for their failure. And sometimes they don’t try at all if they don’t believe they will succeed. Their own fear and limiting beliefs land up limiting them! In my own words, they are action-oriented people who take responsibility for their own success (and failure). They are prepared to try and try again. They have opportunity eyes and possibility thinking. They are committed to their own growth and continuous learning. Effort and change are comfortable bedfellows when it comes to success. Today we live in, and are bringing children up in, an increasingly hostile world, characterised by continuous, dramatic change and disruption: socially, economically, technologically and politically. Living with constant flux and change is stressful and it will be easier to cope if one has a more flexible mindset. A growth mindset enables us as human beings to be more nimble and adaptable. Even employers such as EY (Ernst & Young) have changed their employment filter removing the need for degrees. They would rather hire for attitude than qualifications and skills. There is a new mantra in the world of work: hire for attitude, train for skills. In other words, skills are easier to train than attitude. This means that the earlier we help our children to develop a positive attitude towards their strengths, weakness, talents and abilities, the better. 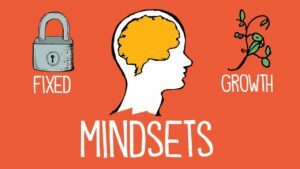 We all have elements of both mindsets but we can learn to change limiting mindsets. This requires doing and practise, not just thinking. It was Einstein who said, “Learning is experience, everything else is just information.” This means that our children need to do, do, do to hardwire a growth mindset because their mindset determines how they will cope with failure and how they will pursue success. 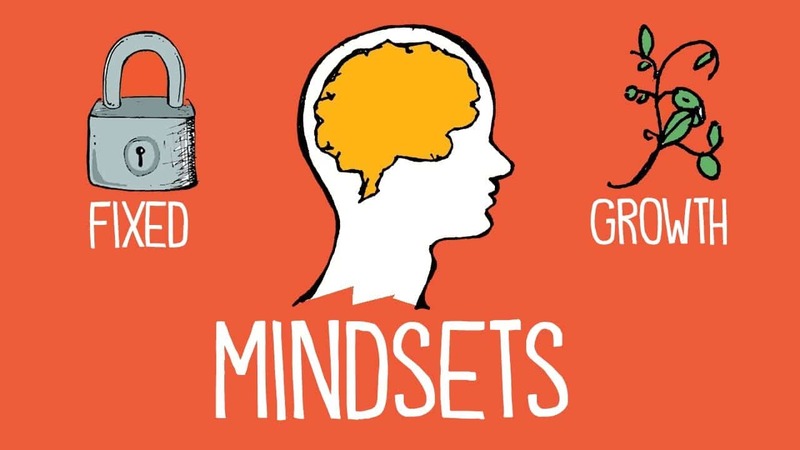 If I had to choose a mindset for my child to enable them to thrive, not just to survive, in the 21st century, it would have to be a growth mindset that can embrace all that is, all that they are, and all that they are in the process of becoming. To do that, you need to challenge and analyse your own mindset. You may need to make some mindset shifts yourself! Are you up for the growth challenge? Who are you in the process of becoming and how will this, in turn, shape your child?